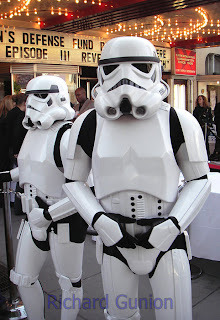 The Little Prepper Doc: Mandrakes, Mallots, Malts: Natural Anesthetics? Mandrakes, Mallots, Malts: Natural Anesthetics? Why are evil dark overlords politicians in training? Because everyone has to have retirement plans. See required politician experiences. So let's start with a little medical history. Okay, I think I just lost half of my viewers with the "history" comment. Anyway, after that search, I discovered many things. One, Harry Potter was right: people did actually believe that mandrake plants killed you with their screams. (Please enjoy this refresher video of Mandrakes. 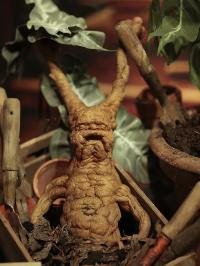 Mandrake - Harry Potter and The Chamber of Secerets). And two, our ancestor's were whacked out of their gord. I am not kidding, this is the first time that I can honestly say, "what the heck were our ancestors were thinking?!" Seriously, I wonder how any of them survived long enough to create the next generation. Most of the "numbing methods" they applied centered around doping themselves up enough hallucinogens to ride magic carpets (now, we know why they have those freaky fairy tales), hitting each other in the head with massive hammers, downing keggers of beer, and eating plants that are lethal. Well, that explains a lot of historical events. The Third Crusade. It was all in the mead. Who else but drunks would head into the hottest, nastiest area of the world wearing heavy armor and start a war? Atlantis. They took the Bugs Bunny approach to numbing methods and beat each over the head with mallots, then became lunatics thinking they could take over the world. Why else did God send their island into the ocean? Easter Island. Self-explanatory. The entire population ate their weight in lethal mandrakes. 3. Striking the patient in the head (either by placing a helmet over the person's head and hitting them with a mallot or by giving them a good punch to the jaw. They lost a couple teeth, but hey, they were unconscious during surgery). Well, we can't knock them for trying. In all honesty, we pretty much use the a few of the same things for pain relief. And come on, I know there are a few of you out there that wanted to deck that guy that was screaming in pain. (Please see reasons why not to go into medicine). The genus Mandragora, on the other hand, realistically should be included in the hallucinogens category, but I want to give them their own attention. 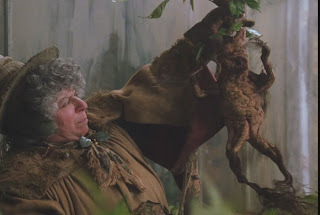 The mandrake contains alkaloids such as scopolamine, atropine, and hyoscyamine. These are potentially deadly substances. So it wasn't the screaming that killed them, it was the alkaloids. Atropine is used as a treatment for organophosphate poisoning (pesticides) and used to resuscitate patients with severe bradycardia. (For more information see: http://www.cvpharmacology.com/antiarrhy/atropine.htm and http://en.wikipedia.org/wiki/Atropine). Not only are the Mandragora potentially deadly, they actually promote inflammation and pain. They produce a number of alkaloid chemicals that can range from irritating to lethal. So why am I telling you this? What is this historical lesson good for? One, our ancestors were a bunch of neanderthals when it came to medicine. But... although crude, the doping, drinking, and clobbering approaches, were actually affective. Two, mandrakes, instead of being used for pain relief, can be used to treat organophosphate poisoning which is a life-threatening condition. Lastly, I am still looking for natural anesthetics that are safe and available for disaster medicine kits. Sorry. I wish I could have found something more helpful. Apparently, the best things that we can store up are the prescription analgesics and local anesthetics. So far, I have been unable to find any natural ones that have been scientifically proven to be safe and to actually work. For the sake of my viewers, I will keep looking. Hmmm, my DH has headaches all the time and most of his favorite dishes include some form of tomato or potato! Your conclusion brings another question...can the "storing up" of the RX stuff be done safely, or legally? I figure not, at least not for us non-professionals. Certain Rx can be stored without problem, such as erythromycin. But other drugs, such as tetracyclines are not safe to store for more than a few months after their expiration date. The problems with storing Rx arise from the insurance companies or from pharmacies that refuse to allow people to acquire more than one month's supply of their prescriptions. Also, even medical professionals have to have a good reason for storing certain Rx, but usually those are narcotic-type drugs. The legality of storing normal non-narcotic Rx is something that I will have to research more. Thanks Christine! I realy love your blog and I love the fact that you pay such close attention to readers' questions and comments! For pain relief for such things as headaches, body aches, etc, I have frequently used willow bark tea. Same thing as taking an aspirin. Wounds are where it gets a bit tricky. Topical *numbing stuff* is a little harder to find and process for use. Teas won't do, a poultice will. and look for the right plant material. Thank you, Melinda and Lamb, for your wonderful comments! - I haven't read about how to make novacaine, and other local anesthetics, but researching that is one avenue. - Another is honey bee bites. Apparently they secrete an anesthetic chemical into their mandibles when they bite called 2-h (I can only remember the short notation). - Orajel and other over-the-counter anesthetics for toothaches. Never tired it, don't know how strong/effective they are.